Like mentioned before, a stapled tradition of any meal at SacAnime is over at Jim-Denny's, especially during breakfast before the biggest day of the convention. And the meals that we ordered did not disappoint, although we don't recall the prices being that high; then again, it has been awhile since both of us dined over there. 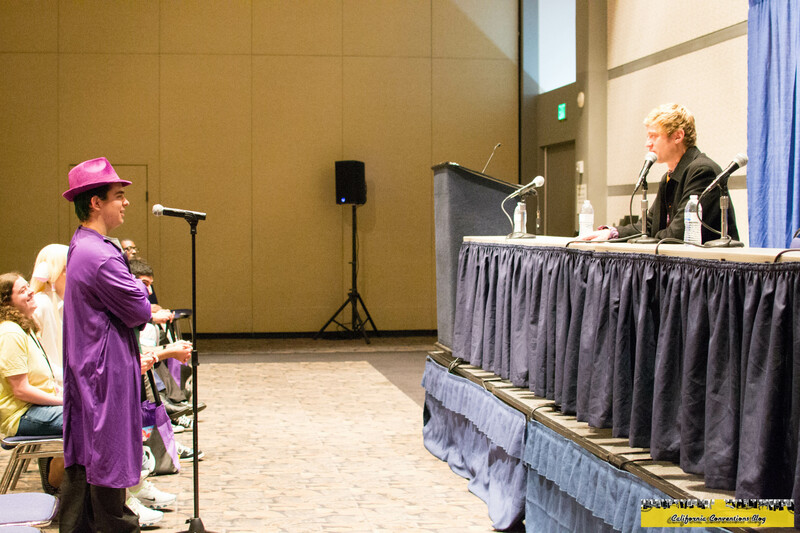 The first order of business for me was to attend Cripsin Freeman's Q&A panel. For me, it's been almost eight years since I last saw Freeman and remembered him going deep on a question. 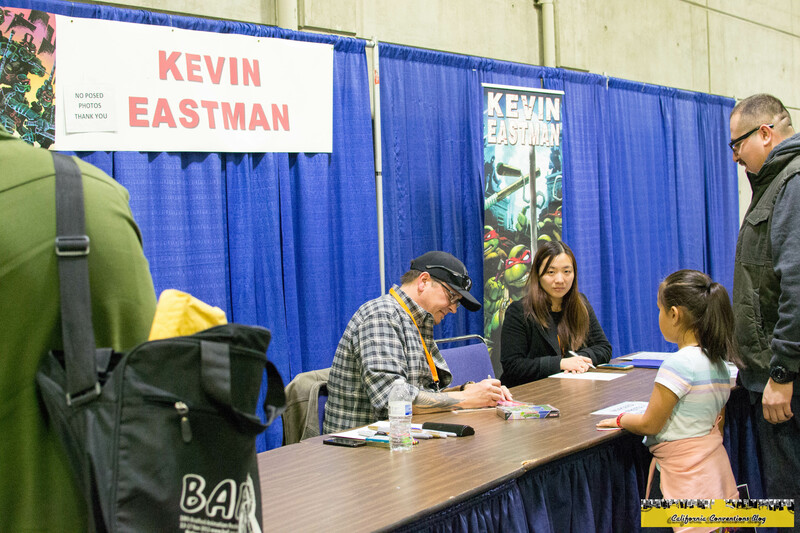 But even before that happened, I headed over to Kevin Eastman's autograph session. Given the Guests of Honor that were attending and their autograph prices (Sarandon, Page, & Bedard were starting at $30), it was shocking that the first autograph was free. 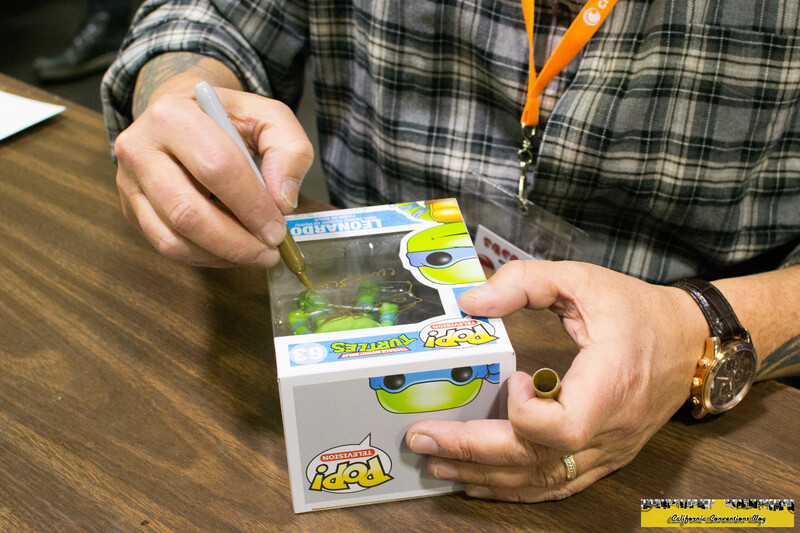 This is the creator of the Teenage Mutant Turtles we were all looking at. Autographs after that were $20 which people were willing to drop to get all their first edition comics, sealed NES video games, and Pop Vinyls signed. The session went quick and I didn't miss a beat of listening to Freeman speak. I had to leave early to find a good seat downstairs because his Q&A panel and the Nightmare Before Christmas reunion panel were running back to back. I remember some of my roommates talking about what they would ask the voices of Jack Skellington and Oogie Boogie. Somehow, all of those questions were either talked about by the panel moderator or asked early on, and I mean "early on." 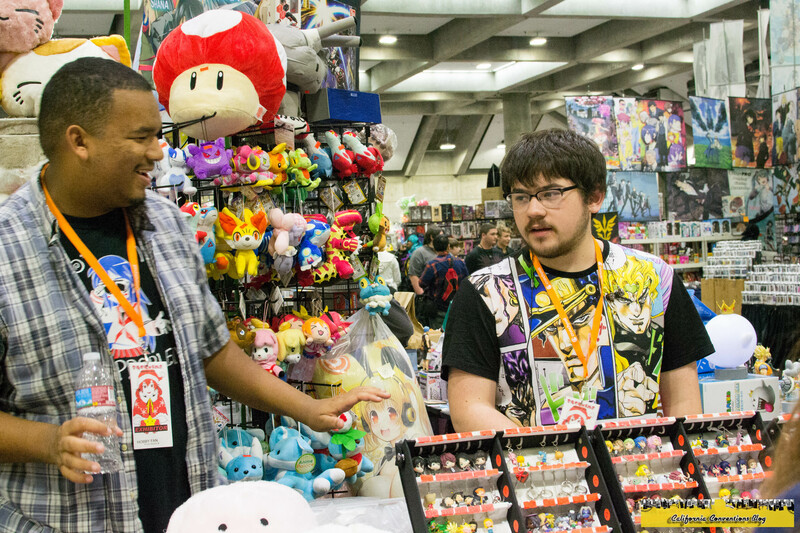 After eating lunch back in the room, I took the opportunity to explore the expansive Dealer's Hall and Artist's Alley and see what was offered. While my budget didn't include buying expensive figures and new cosplay, I was able to buy a Love Live rubber keychain and obtain a "mid-tier" idol, which led me to debate tiers with all my friends for the rest of the day. Outside of the convention center, KCRA 3 was running a story about Northern California in the new year, ranging from the Super Bowl to the Mayor's race and the opening of Golden 1 Area. 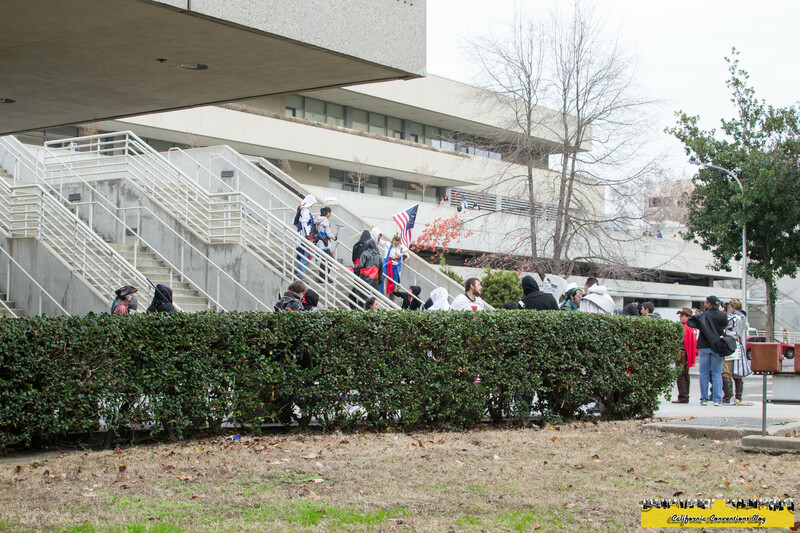 Naturally I hover around TV cameras during conventions, so I said my piece to the reporter and hoped that I would show up on either the 5pm or 6pm broadcast...which I did. 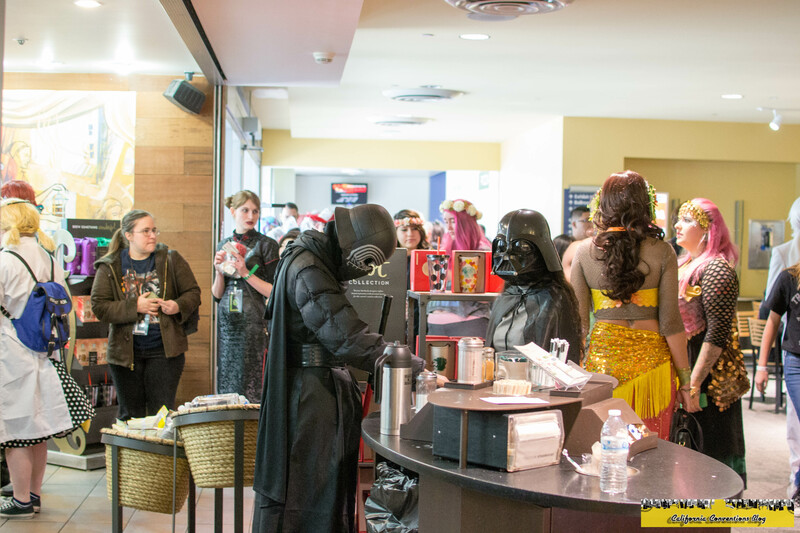 Because even the dark side needs Starbucks to wake up. 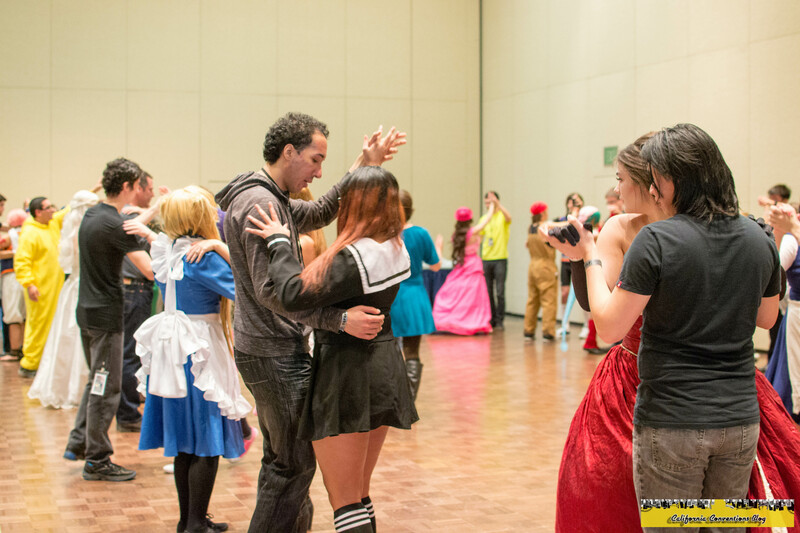 There was also dance lessons and more gatherings to check out. 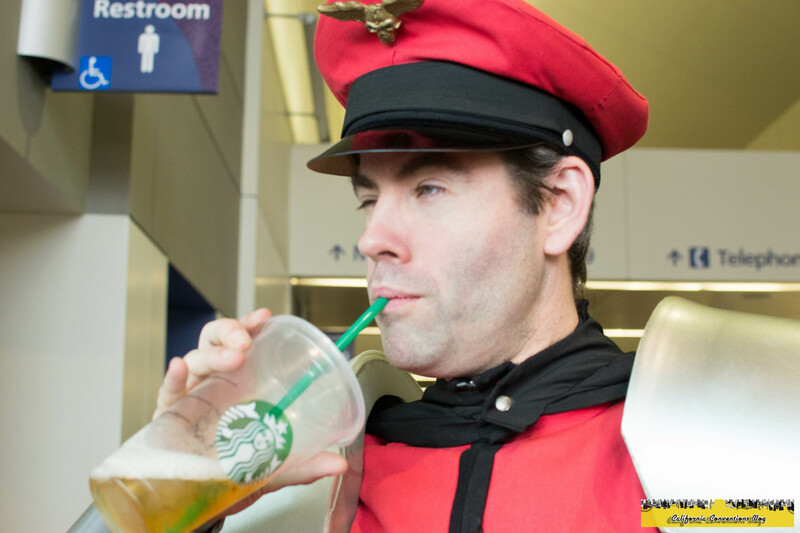 And so does M. Bison. 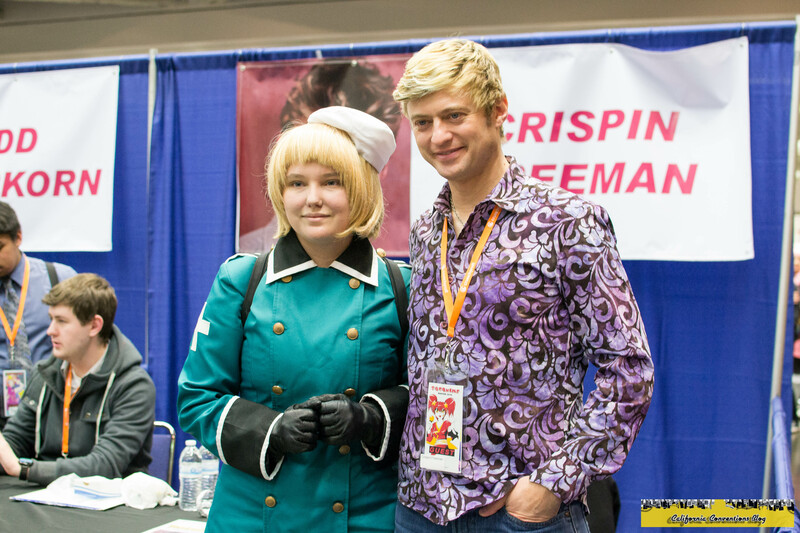 Then Crispin Freeman had another panel on Saturday. 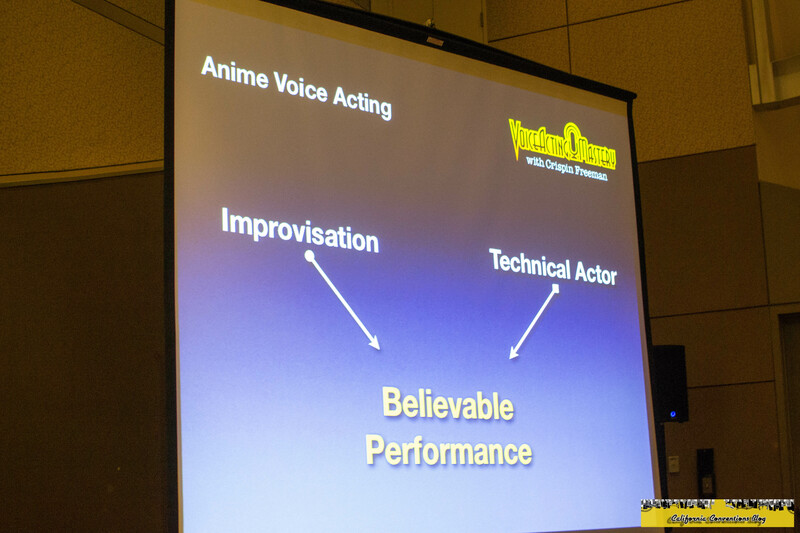 This time it was his "Ameturer Voice Acting Workshop" panel based on the voice acting classes that he holds in Los Angeles. 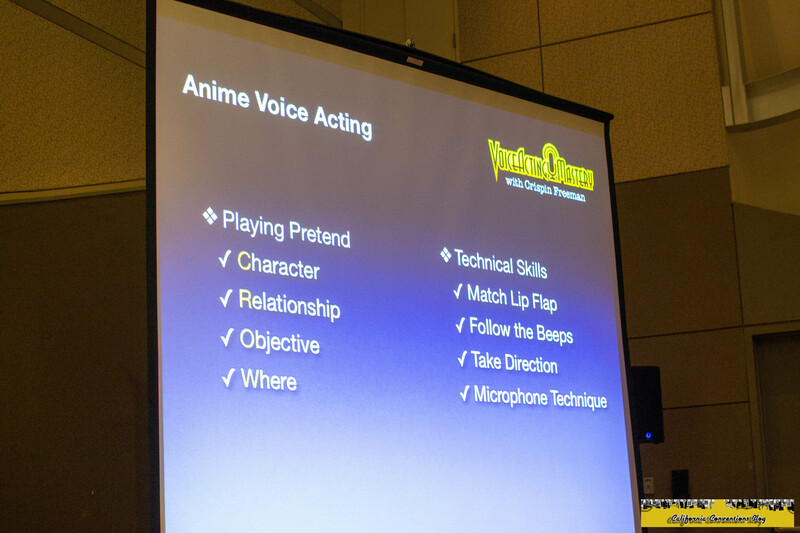 Again, he was very deep and informative in his explainations about improving your voice acting and even though I had no desire to become a voice actor I came out with much more information than I thought I was going to come out with. 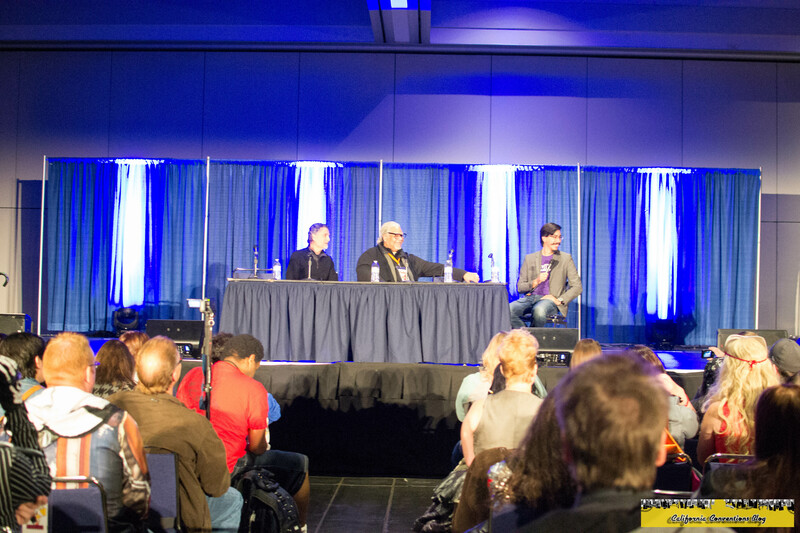 Unfortunately, I had to leave this panel early too as well because I needed to get back and prepare for the Shin Megami Tensei/Persona Gathering. I didn't expect it to be that dark and cold around 6pm when our gathering was being held. 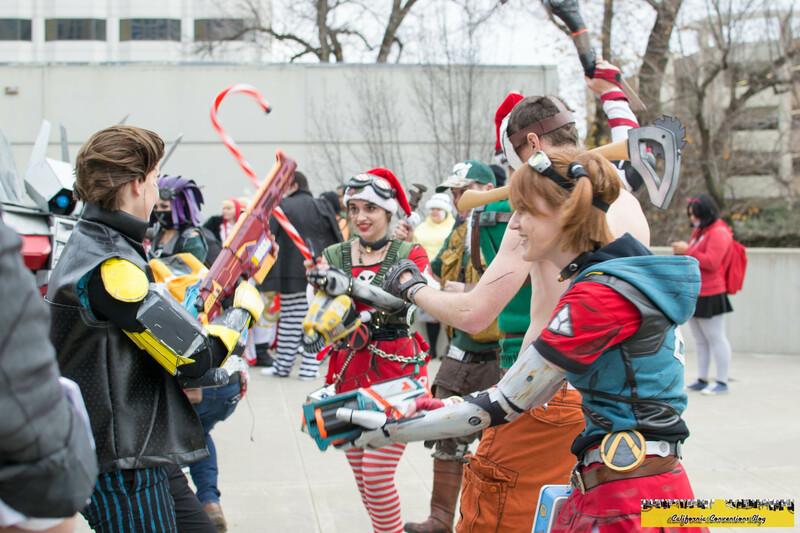 Regardless, there were photographers to take our shots and we had a wonderful time. I do want to plan out a summer gathering when it's much warmer and still light around the same time. We had planned on an after-gathering dinner over at RyuJin Ramen, the shop that was open today after being closed on New Years Day, but overall logistics fell apart and eventually we ended up eating with just our group plus one of Ryan's old friends. It felt different than what is offered over at Shoki Ramen, but I enjoyed both the ramen and the takoyaki. 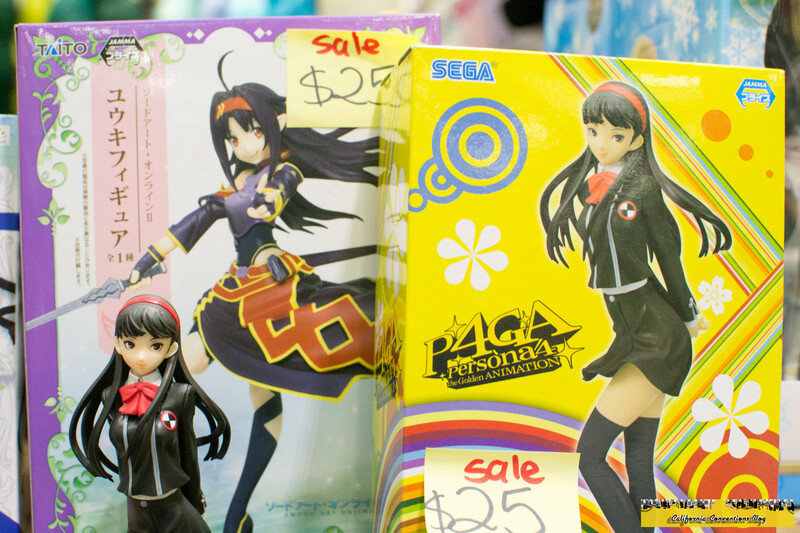 I kept asking both Ryan and Dalton if this held up to what they had over a year ago during Anime Expo at Shin-Sen-Gumi, which they responded "no." 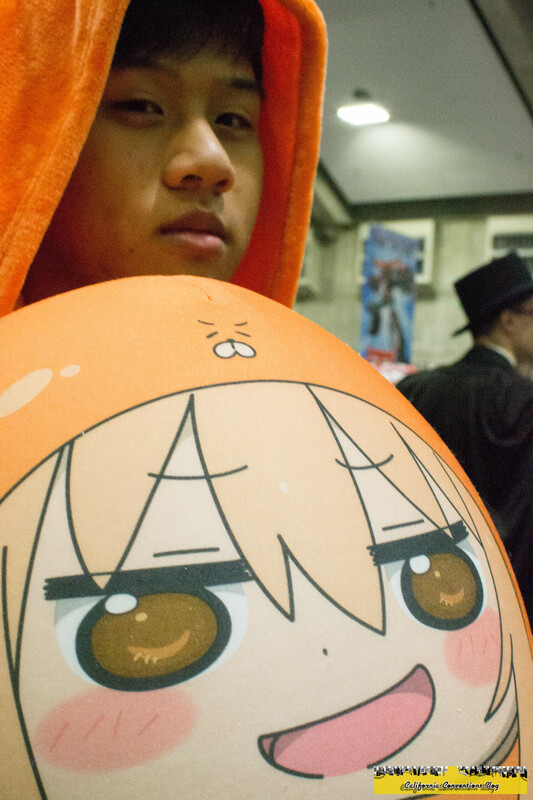 Ever since I heard about Shin-Sen-Gumi and its superiority to Orochon Ramen, it makes me want to go back to Anime Expo in the near future just to go there. After that, I joined up with some of my friends over at the hot tub before gathering the night away.